A mother has revealed the heartbreak of watching her two-year-old die of ‘childhood dementia’. Vicky Cunningham, 34, of West Lothian, Scotland, said her baby, Mirryn, was happy and healthy, despite being born premature. But at 10 months old, Ms Cunningham instinctively knew something wasn’t right when Mirryn stopped trying to hold her hand or rock in her baby bouncer. After insisting doctors investigated, Ms Cunningham was shocked to be told that her daughter’s brain was dying. At the age of one, Mirryn was given a diagnosis of the rare Batten disease – otherwise known as childhood dementia – which is incurable. The specific type of the condition she has, CLN1, has only been recorded in around 200 people, according to the US government’s National Institutes of Health. Ms Cunningham told The Sun: ‘Like an elderly person with dementia she will stop breathing in the end. It’s taking my little girl, piece by piece. ‘It’s heartbreaking to see. She should be starting nursery but I know it will never happen. There’s so much she will be missing. 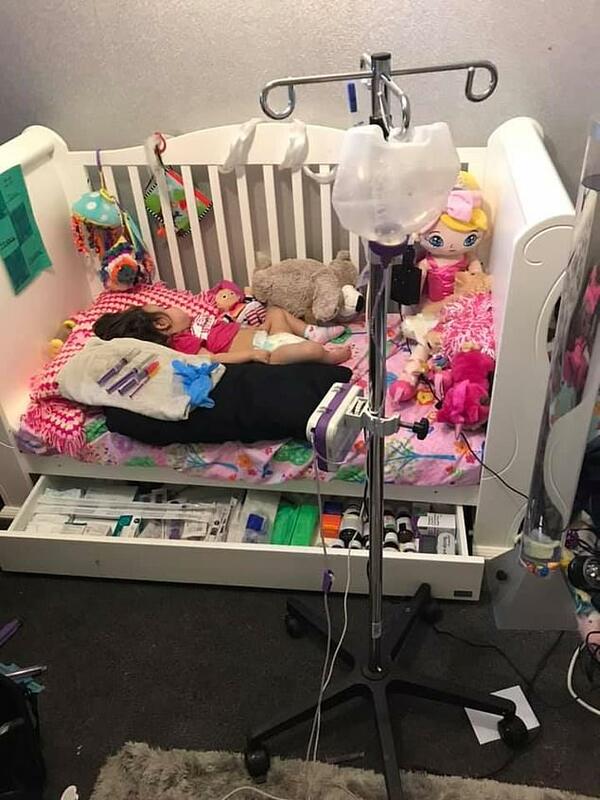 Mirryn was born at 31 weeks and two days, weighing 3lb 2oz, and spent two months in a special care unit being treated for jaundice – a sign of liver problems. But she developed normally once returning home, and Ms Cunningham will always hold memories of her daughter’s former cheeky personality, gurgles and babbling. 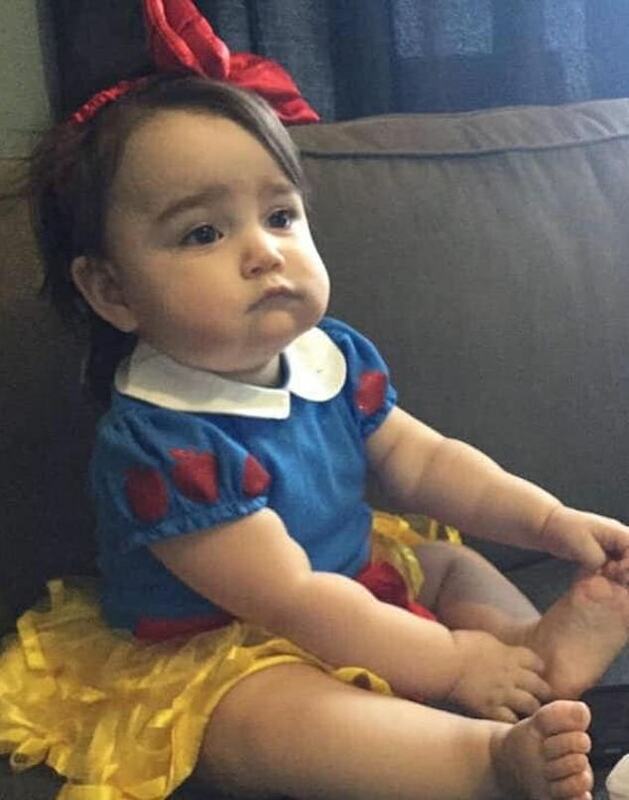 At 10 months old, Ms Cunningham noticed she was no longer trying to grab things – such as her toys or mother’s hand – and her muscles appeared to be weaker. 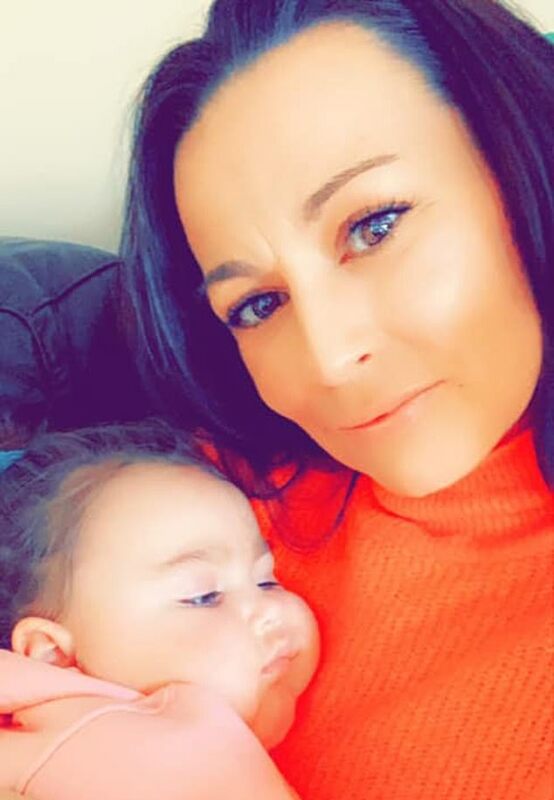 Mirryn was referred to St John’s Hospital in Livingston where she had an MRI which showed some decline in the myelin in the brain – a fatty substance which protects nerves. But doctors were not hugely concerned at that point. However, Mirryn’s behaviour became worse at an alarming rate, according to Ms Cunningham. She was no longer rocking in her baby bouncer and she stopped making babbling sounds. Ms Cunningham insisted that another MRI was carried out. It showed drastic changes in her brain from the previous results, which she said were obvious in the images even to her other child, Alexander, eight. Because it is a rare disease, it is often difficult to diagnosed and untested at birth. It was then that Mirryn was given the diagnosis of Batten’s Disease – a disorder of the nervous system which begins in childhood. There are different forms of the illness and collectively they affect an estimated one in 100,000 people worldwide – including one or two of every 50,000 children in the US and up to six babies born in the UK a year. 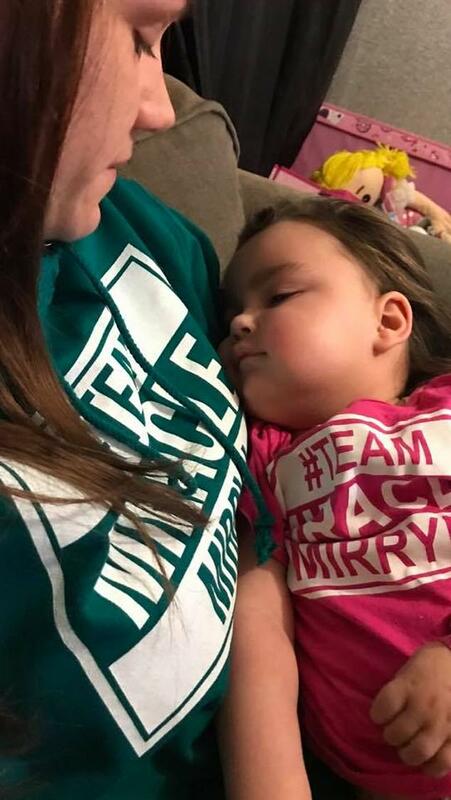 Mirryn has CLN1 Batten Disease, which typically starts showing signs at 18 months old as the brain cells die at a rapid rate. Developmental skills such as standing, walking, and talking are never achieved or are gradually lost in children with the illness. Children often develop seizures by age two and eventually become blind. By age three, children may become completely dependent on a caregiver and they normally don’t survive past early childhood. 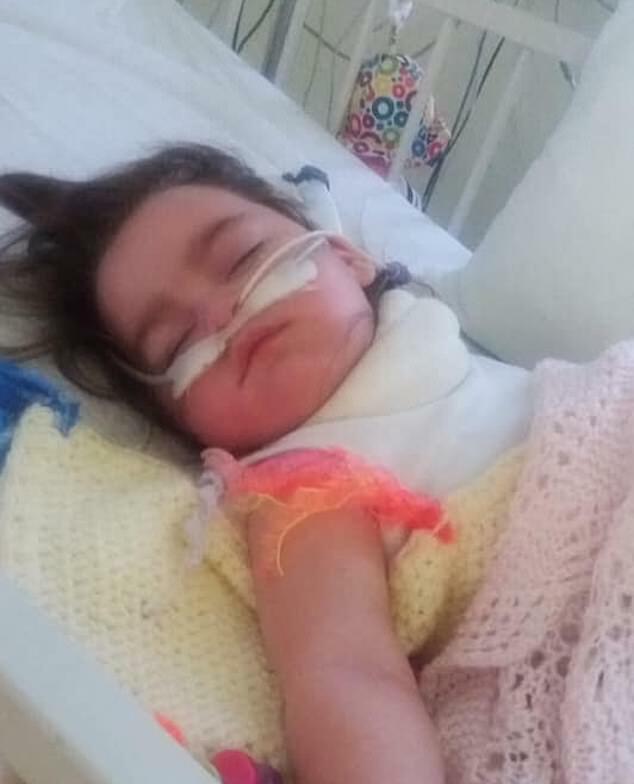 Mirryn is under the care of specialists at Great Ormond Street Hospital in London but, due to the rarity of the disease, a treatment has not been found. 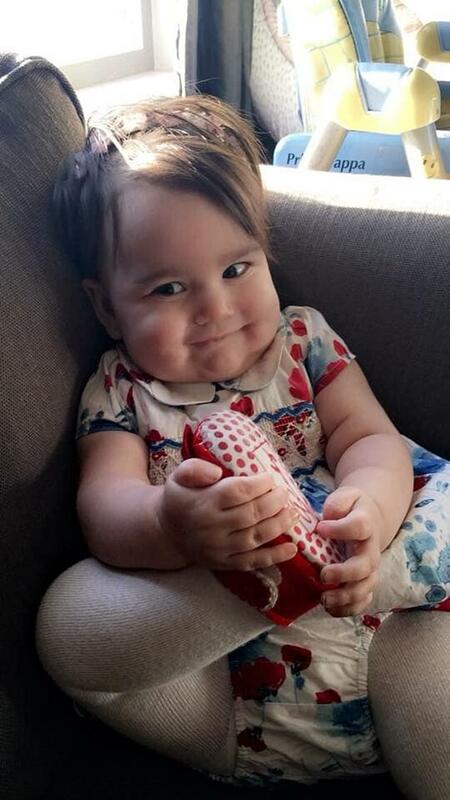 Since her diagnosis, Mirryn has deteriorated fast. Ms Cunningham admits any day could be her last, and she doesn’t think her daughter will make it to Christmas. As the condition worsens, children have severe difficulties eating and often require a feeding tube. 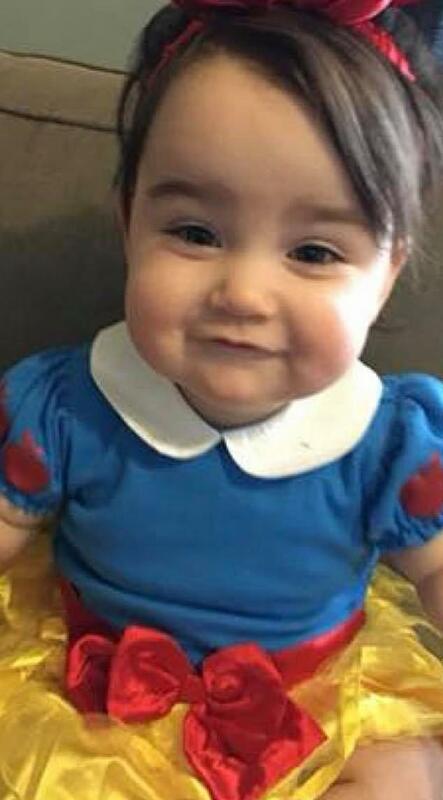 Ms Cunningham had had dreams of taking her little girl to Disneyland, but now will arrange a Disney themed party at her home in the late summer. She has launched a crowdfunding campaign to raise the money for a ‘P Pod’ – a chair which helps to protect her daughter’s ‘floppy’ posture. Mirryn is unable to support herself and the chair allows her to breathe at ease.